There are many forms of abuse that can be inflicted upon the elderly and not all forms of abuse leave physical marks. Like children, an elderly person may be particularly susceptible to verbal or emoti0nal abuse by someone who is attempting to gain control over the person, or their money or property. You do not need to have tangible proof that abuse is occurring; if you suspect any form of elder abuse, report it immediately. Elder abuse is not only subject to being a civil matter, abuse can also lead to criminal charges and it is up to the professionals to investigate your suspicions. Excessive force to get an elder to eat, drink, or take medication. Using excessive force to physically move, dress, bath, or otherwise provide care for an elder. Using physical force to control an elder including slapping, beaten, grabbing and holding arms, hands, legs, etc. too tight. Use of physical restraints on an elderly person such as handcuffs, ropes, or other restraints that cause any physical trauma or harm. Rejection, isolation, or belittling acts that cause or could cause mental anguish, pain, or distress to a senior. Sexual contact that is forced, tricked, threatened, or otherwise coerced upon an elder, including anyone who is unable to grant consent. Theft, fraud, misuse or neglect of authority, and use of undue influence as a lever to gain control over an older person’s money or property. A caregiver’s failure or refusal to provide for a vulnerable elder’s safety, physical, or emotional needs. 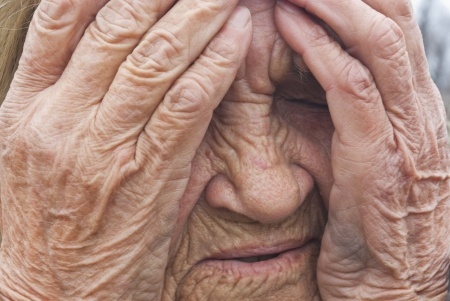 Desertion of a frail or vulnerable elder by anyone with a duty of care. An inability to understand the consequences of one’s own actions or inaction, which leads to, or may lead to, harm or endangerment.